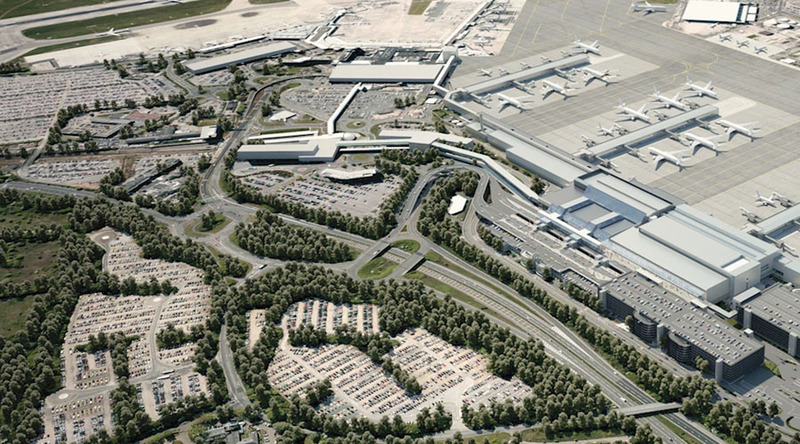 Situated in Greater Manchester, Manchester Airport offers both personal and business passengers links to one of the UK’s busiest and most popular cities as well as companies and offices across the midlands. Regardless of your reasons for travelling to or from Manchester Airport, continue your five-class travel experience with our executive chauffeur service. Dedicated, friendly and professional, we have been providing highly-recommended luxury airport transfers for years, allowing us to accommodate all types of client. Each transfer is tailored to suit you and pre-booking your Manchester Airport chauffeur allows you to spend your travelling time relaxed in prestigious, highly comfortable surroundings whilst avoiding waiting times. Start your journey to Manchester Airport as you mean to go on with one of our highly professional chauffeurs, who will pick you up from and drop you to any UK address promptly and efficiently, be it work, home or a hotel. Meeting you at your chosen time and managing your travel arrangements, Starr Luxury Cars will ensure you reach your destination on time and feeling relaxed. Whilst you are in our care, we will aim to make your experience as memorable and positive as possible, handling the loading and unloading of your luggage and allowing you to get comfortable in your chosen chauffeur-driven hire car. Pre-booking your Manchester Airport luxury transfers will ensure you are able to continue to your final destination as soon as you touch down in the midlands, avoiding potentially long waiting times you may find with public transport or a local taxi service. Not only do we offer a five-star travel experience, you may also leave your flight details with us and we will make sure we arrive at Manchester Airport, ready to collect you regardless of the time your flight lands. If you are heading out from the airport, you have the added option of booking our luxury Manchester Airport assistance and hostess service. One of our professional members of staff will stay with you until your flight leaves, handling any tasks and leaving you feeling calm and relaxed right up until you take off. Our fleet of prestige hire cars used for Manchester Airport luxury transfers is impressive to say the least. Constantly adding new models and keeping up to date with the latest releases, we are proud to offer the finest chauffeur-driven cars, including executive Mercedes airport transfer cars, perfect for business hire to exclusive and rare Bentleys and Rolls-Royce, ideal for personal travel and special occasions. Impress a client, treat a loved one or simply leave your own car at home with Starr Luxury Cars exclusive airport transfer service. Each of our beautiful luxury hire cars feature the very best interiors and modern features to ensure you have a comfortable, relaxed journey. Whether you are travelling for business or pleasure, we also offer a range of luxury extras which you can choose to add on at the time of your booking; including luxury alcohol packages for a celebration to full bodyguard services for a VIP. Make your booking online through our easy to use form or get in contact with our expert team, who will be happy to accommodate for your next trip to or from Manchester Airport.